Editor’s Note: We welcome guest reviewer Debbie Hight! Hight is on the Best Horse Practices Summit Steering Committee and recently hosted horsewoman Amy Skinner for a weekend of learning. 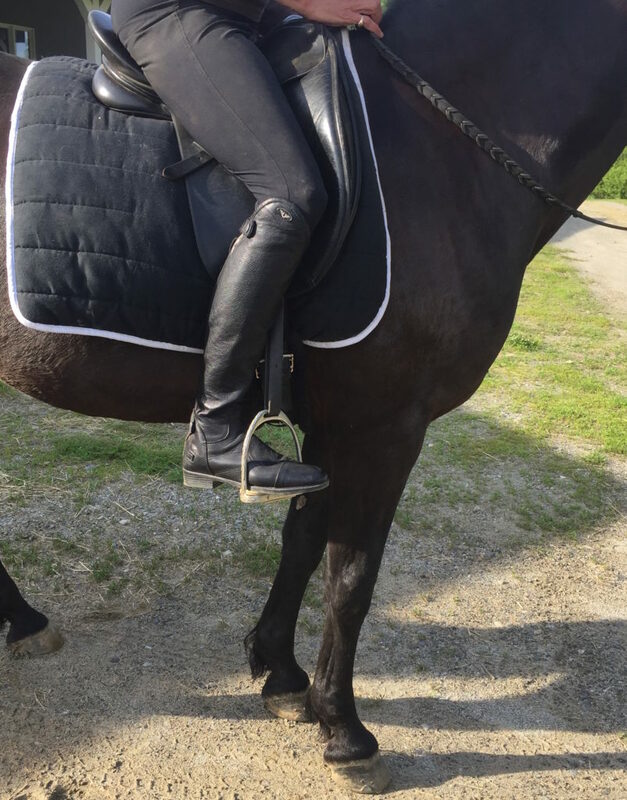 In this post, Hight offers her review of Tuff Rider boots from Adams Horse & Pet Supplies. I stopped at Adams Horse & Pet Supplies in Winthrop, Maine (just outside of Augusta), really wanting a new pair of summer riding boots. I had tried desperately for years, in fact, to break in my pair of dressage boots. Everything fit. But the leather was just too hard. Maybe if I had run over them a few times with my truck, they would have gotten softer. After five years and multiple applications of leather conditioner, I’, waving the white flag and setting them aside. I’ll donate them to the local Pony Club. So, I was trying to prepare myself to pay $300-400 for a pair and refused to even try on something that cost $600 or more. I have only a certain tolerance for checkbook pain. In fact, I’m not easy to fit. I have relatively tall calves, biggish feet (size 8.5-9), but thin, scrawny calves (despite obvious muscling!). 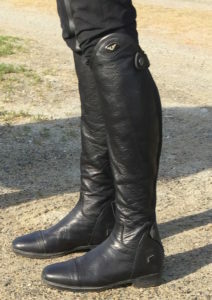 I tried on the Tuff Rider Belmont Dress Boot. Oh, wow. It was like they were made for me. The leather felt like the best Italian leather. At $180, they were pretty much a bargain compared to the considerably more painful options. Less expensive boots were more literally painful and the more expensive ones hurt my wallet. I wish that it didn’t have the elastic insert, but frankly, I cannot see it So, I just forgot about it. I finally rode in them yesterday, in 93-degree heat. They were just wonderful. Too bad that the magic of the boots didn’t transcend to my riding, but I guess that remains Operator Error. Oh, well, there’s always room to improve. Tuff Rider appear to be ethical in the quality and price of their products. I am so sick to death of anything horse-related being ramped up in price just because we’re horse owners. I have found Tuff Rider to be relatively reasonable and a breath of fresh air. 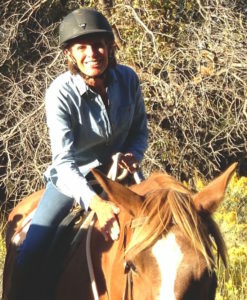 These Tuff Riders may not be firm enough for the diehard dressage crazies, but I love them. Posted in Gear, Maine, Reviews and Links and tagged adams pet supplies, Maine dressage, tuff rider. Thanks for the review. I too have long, thin shanks and most boots gap and flap hugely around them. Hard to find people these days that can just take in a boot leg.